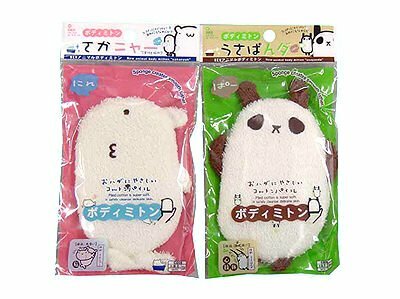 Kawaii Cute Cartoon Bath Wash Mitt which you can put on your hand. Made of cotton polyester polyurethane. Available in Panda or Silly Fish style.